Join our exclusive monthly giving club! Become a TeenTix Honor Society Member: support sustainable impact while learning more about how your gifts are helping TeenTix day to day. 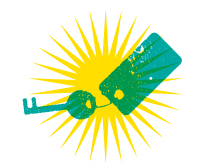 At TeenTix, we believe in the transformative power of $5. Change lives by supporting arts-going for 73 teens. For less than you pay a month for Netflix, support 146 teens! You've clearly studied up on the importance of arts acccess! Support 292 teens a year with your $20 monthly donation. Highest honors go to our $25 monthly sustainers. 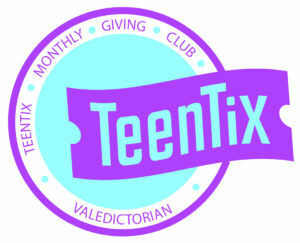 You support 365 teens a year! That means you're supporting a teen every single day of the year! Pick your own adventure! You've risen above and beyond our expectations, you overachiever, you! Your donation supports over 440 teens a year. Questions? Contact [email protected] to learn more. 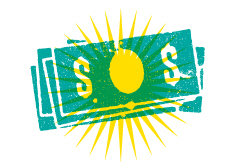 Your tax-deductible donation is automatically charged every month, and it's simple to edit or cancel at any time. It's doing good without any hassle. Learn more about the teens you support. 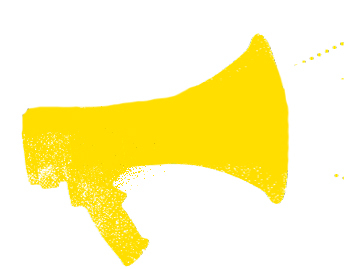 Find out how they explore the arts world via our Honor Society Member newsletter. Whether you give $5 per month or $1,500, together, we're creating sustainable impact that changes our world. 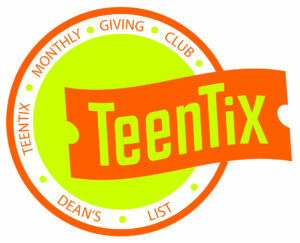 Plus, all TeenTix Honor Society Members receive fun perks including party and arts-going invites. $0.82 ($0.16 for the pass + $0.46 for postage + $0.20 for envelope, welcome letter, and printing) puts a TeenTix pass and welcome letter in the mail for each new TeenTix member. Your monthly support also makes it possible for our staff to do it all: program upgrades through Teens Count, the TeenTix Press Corps, The New Guard, TeenTix member phone and email support, the TeenTix.org calendar, weekly newsletters, teen nights, the addition of new partners, and much more.